feels like on my my tongue. I am a tree-hugger. I don’t protest out in the open about deforestation; not yet at least. I just like hugging trees. I feel at peace being close to them. Pressing my cheeks against the bark on their crumbling breasts. Skidding my fingers along the curvatures of their hips. Sniffing the sun-burnt resin in their souls. I have never regretted climbing a tree. Sure I have been a tumbling mound of flesh around her. Considering how excitable I am when surrounded by things I love, I have fallen off trees on several occasions. The funniest one found me crashing down, like a stiff drummer monkey doll, after I mistook a creeping vine for a serpent. The scariest was when I had almost fallen into the mouth of a waterfall after slipping on a moss-covered branch. I can’t help it though. Sometimes I see one and I just have to climb it. I need to make a connection. Or engage in a conversation to find out why our paths might have crossed. I want to inch closer to put my one of arms around them. They will whistle, creak and fiddle with dying woodwind instruments. And I will speak to them, in plain English, about the love I keep inside my back-pockets. Trees are stepladders to somewhere always nice. The weather might not be different when I am up there. But it always changes when I climb back down. The trees featured were photographed across Tamil Nadu and Kerala. The Peacock Tree is a tourist attraction at the pine forest near Berijam Lake. The one with the monkey tattoo is a beautiful coincidence found near the Bison Valley in Masinagudi. The pictures are amazing and the poem does full justice to that pic. Thank you for sharing. the pleasure was definitely mine, thank you for the lovely comment. I’m glad you’re so touched by the trees. This poem would have been much different if you were touched by bees. I’m grateful that isn’t the case. You share a ton of amazement. Always inspiring. bees (wild giggles) i’ll be captain buzz maudlin. ok i ll stop. thanks again, brother, you make me feel good about my verses! No list is complete with the all astonishing Verseherder! awww my friend, you humble me again with your kind words. i’ve been good, hope you have been fantastic! thanks bud for your constant nice words! Very in the face post! Which trees are these, by the way? 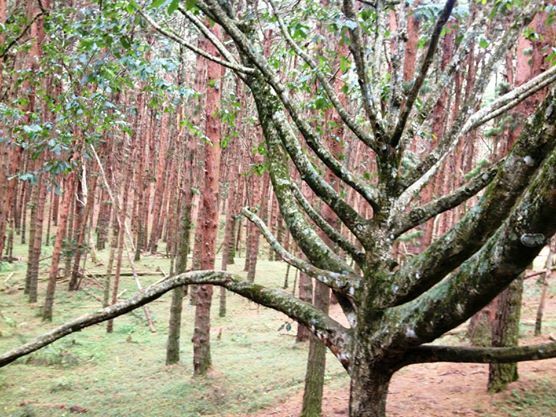 The “peacock” tree in the featured post is a few kilometers before the Berijam Pine Forest tourist spot in Kodaikanal. The rest are spread across in Kerala and Tamil Nadu. and why can’t you, my friend? you should, such places are probably just a few hours away no matter where you are! aren’t they? they speak the same language too, it’s lovely! yeah, sturdier and quieter…long-term love i say! oh gosh – that is exactly what one does when one sees a tree! whether we need them or not, the trees sure do. 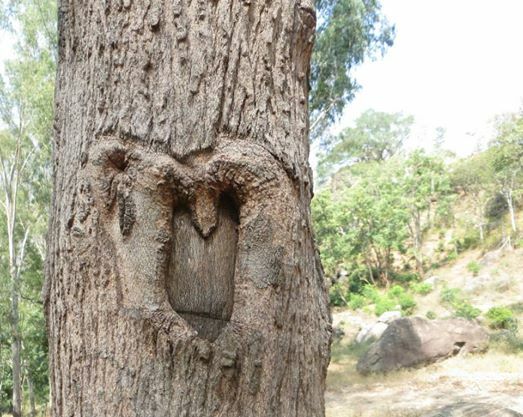 hashtag hug a tree please! Thousand Year Dream — Jocelyn Pook — The Night Life Of Trees art work by Bhajju Shyam, Durga Bai and Ram Singh Urveti. thank you, sounds very interesting! Very nice, so very true! Aww thanks sandy, that’s some compliment coming from you! Do you still have that image? Pictures are wonderful, Christy. Loved reading this. Stunning poem, loved it and all the pics;) nice work!!! D’aww thank you so much, that’s plenty of kindness! Thank you Ruchi! Certainly, ecstasy.